Happy I Love Yarn Day! 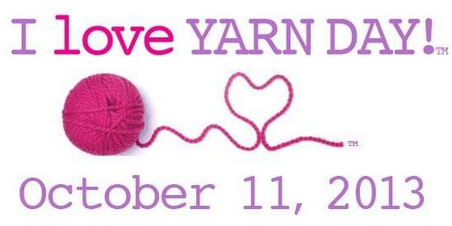 The Craft Yarn Council has decreed October 11 as the official day to share your love of yarn with the world. We know that a lot of our fans love yarn 365 days per year, but today is a great opportunity to spend a little time sharing your love with the world - click here for some creative suggestions on the I Love Yarn Day website! 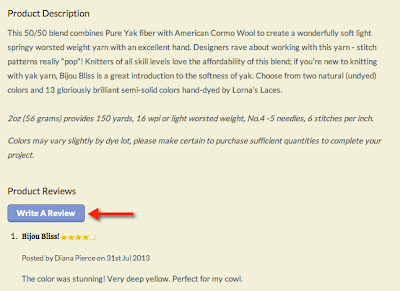 We'd also love to have our fans take a few moments to share their feedback about our own yarns and patterns through our new website - have you had a chance to explore the new "write a review" function that launched with our new site earlier this year? We're looking for constructive and informative reviews that will help customers like you select the correct yarn or pattern for their next project. We'd love to hear your thoughts on BBR products you have personally experienced! Click here to view our online store - simply look for the blue "write a review" button on each product page to get started! Please note, all reviews are moderated and there may be a small delay in your review appearing on the site once it's written. One more important detail: because of how our system is configured, customers will only be able to write reviews for products they have purchased through our site. We know that many of you have purchased yarn, kits and patterns from us at the many events we attend, so we would like to invite you to share your comments here on this blog post as well. We may use these comments in newsletters and upcoming blog posts. In honor of I Love Yarn Day, we'll be randomly selecting one review written between now and next Friday, October 25 to win a mystery yarny prize! The winner will be notified via e-mail and we'll also make an announcement on our social media channels. 1. Leave a comment on this blog post with your brief product review - be sure to state the exact name of the product and also let us know how to contact you in case you win (Ravelry ID or email address works just fine!). 2. Write a review on our website per the instructions above. Good luck and happy I Love Yarn Day! Edited to update the end date of the contest. I purchased three balls of Seraphim at the Estes Park Wool Market, which is in the process of becoming a Color Affection shawl. The colors are well saturated, and the gray has a lovely heather effect. The yarn is soft, itch free, and creates a beautiful drape. Because of the Angora content, it has a subtle halo, but does not shed. My only issue with this yarn, is that it will easily pull apart if you tug a little firm on the yarn. I do not worry about the final garment's durability, I just have a few more ends to weave in. 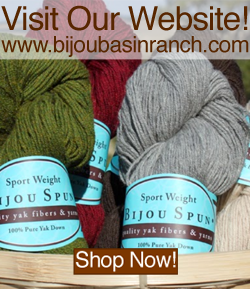 What I really like about Bijou Basin yarns is the range of yarns that are available, from a durable sock yarn to pure yak to ultra soft luxury blends. I have gathered a short list of a few favorite yarns (mostly merino/silk combos) for lace knitting projects. And then I got my hands on some Shangri-La Yak/Silk Blend laceweight yarn for a recent Echo Flower shawl project. This is just incredibly soft, pliant, and elastic yarn with a lovely sheen and halo-- perfect for my favorite lace work projects. It blocked out incredibly easily and holds its blocked shape very well. The shawl I knitted has a wonderful drape and provides a barely-there soft layer of warmth. Sometimes, Sheep just doesn't compare to Yak! I saw the new colorways, and bought some skeins in Ruby and Sapphire. The hues are unbelievable! I can't wait to find projects for them. I was gifted a skein of Shangri-La by my MIL and I chose to make an infinity scarf with it so I could use every inch of this yummy yarn. Very smooth to knit with, no splitting, a lovely sheen, and it looks fabulous after blocking. I love love love the bright blue color and would definitely purchase it for another project. I bought some 100% sport at Taos Wool Festival last year. I finally found a pattern that I thought would be perfect with the yarn. I made a shawl with cables on the back. The cables really pop with this yarn. And the stitch definition is as good as it gets. Definitely will use again. I think it is unfair that you can only participate if someone previously purchased yarn from your company! I was excited a the potential prospect of possibly finding out how delicious your yarns were if winning, which would definitely inspire future purchases if they were half as dreamy as they appear in the photos. It's a shame this contest is based on purchases. =( That's my review right there. I purchased 3 balls of Seraphim, while at Maryland Sheep and Wool, to make the Angelica Vest. The fiber is soooo soft, love the way it feels in my hands! I bought skeins of Lhasa Wilderness, Yak / Bamboo Blend in Sky and Natural Cream and used them to make some cozy twined textured fingerless mitts during a class at Stitches Midwest last year. The yarn was a real pleasure to work with. I love Lhasa Wilderness, the yak/bamboo blend. I've made a bunch of lace scarves out of it, and they're incredibly warm and soft. When I want to indulge myself -- or someone else -- this is my go-to yarn. It's a joy to work with it, the colors are gorgeous and the softness and warmth are unmatched. There's nothing else like it. I purchased a pattern designed by Marly Bird as well as a beautiful hank of Seraphim at Stitches South this past April and all I can say is "Yummy". It was a great yarn to work with and my cowl is beautiful! I can't wait until next April to indulge in some more BBR goodies! I was very excited to receive the "lace weight 100% yak yarn" in my mailbox! You should have seen me dancin' around the living room and bragging to my friends on facebook. I immediately put it on my swift and hand wound the yarn into a ball so I could feel its loveliness and appreciate the depth of its color. Of course there were no knots or problems in the entire skein. I have to admit that I'm still looking for the perfect pattern for it, but I've got it narrowed down and hopefully will be casting on in the next couple of weeks. Thanks for offering such a lovely yarn. I just want to tell the world that Seraphim is amazing and has fabulous drape and stitch definition for such a soft hand. I just finished RosiG’s MKAL shawl. This is my second project with this yarn. Next up, Wilderness! KallieKY on Ravelry. I haven't had the privilege of trying any of your yarns. If I win, I will definitely write a review on the product I get. From the other reviews I have read, I think your product sounds fantastic! A few comments... I have been admiring this company for months now, ever since I stumbled upon the mobile app, then heard the owners on Marly Bird's podcast, and most recently poking around on the website and blog. 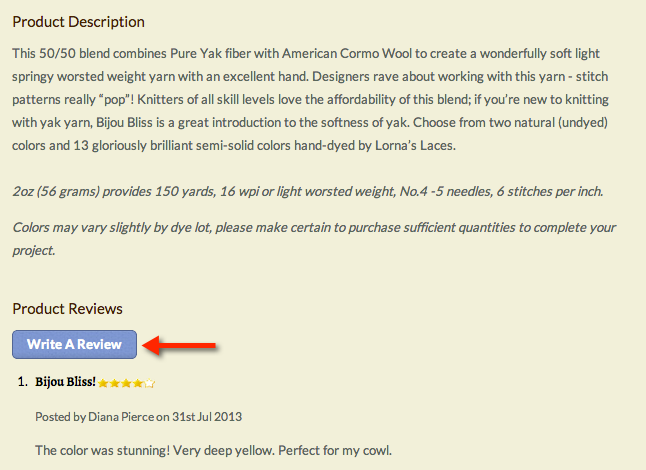 I love that the company truly seems like a family, and I especially am intrigued by the idea of knitting with yak. As far as a more specific review, the patterns are great, and I especially LOVE the "Sue Sweater" pattern... It totally debunks the image in my head I have of crochet; I think it just might inspire me to try it! Very wearable. I ran into your booth at Stitches Midwest but didn't have money to buy anything! :-( I did admire some of the yarn, while my friend was purchasing yarn/pattern from you. I do wish you had more patterns/kits up for those of us that only crochet. Thank you! I also have not yet tried this yarn, but am always looking for new yarn to work with. My budget, unfortunately, doesn't always allow for that! Love the Sharngri-La yarn. Will make a beautiful Shawl for holiday present. I have never tried your yarn but am anxious to try. If I don't win I will have to try some! I have never used this yarn before but it looks so soft...am going to have to try it! Love the Sport Weight Yak yarn. I'm making a stripy tube cowl from each color. Very soft and easy to knit! I love these yarns and would love to win one! Working with yak yarn is an absolute delight! I've used the Lhasa Wilderness (yak/bamboo blend) and love the way it works up. It's easy on the hands to knit with and has a very nice drape in the finished project. See this yarn all the time on my feed and I'm dying to try some out. I have never knitted with this brand of yarn but I felt it at Stitches South one year. It feels so soft I would love to try it one day. Haven't tried your yarn either. Hoping to find some the next time I go shopping. Would very much enjoy knitting with your yarn. Winning this prize would enable me to try it. Right now, my budget won't permit it. Hope that I am the lucky winner of this yarn. I love yarny prizes :D I can only hope to be lucky enough to get to try your products. Oooh, I hope you pick me. There's nothing more comforting than yarn. Would love to try yours. I was gifted some lace weight Yak Yarn, it made the most wonderful scarf!! it's so soft! I love the feel, and it was a pleasure to knit! 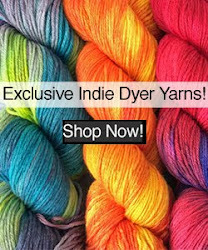 While I have yet to purchase your yarns I appreciate the different weights and colors you have on your web site. It would be very nice to be able to work with your yarns. Can't wait to sit and knit! It's been a long week and I need some relaxation! My sister has always wanted to try your yarn. i would like to win it so I can give it to her. Just saw Yak yarn for the first time last weekend. Amazing! I have Alpacas and am always looking for more fiber ideas! Can't wait to get my knitting needles moving! I have used Seraphim, so soft and fluffy. I did cables on a cap and they are incredible--amazing definition. Yahoo Shangri-la! as delightful as it's name!